We have a few friends who had babies born near the end of the year, so of course those new little ones needed a little bit of homemade baby love from the Fagan abode. 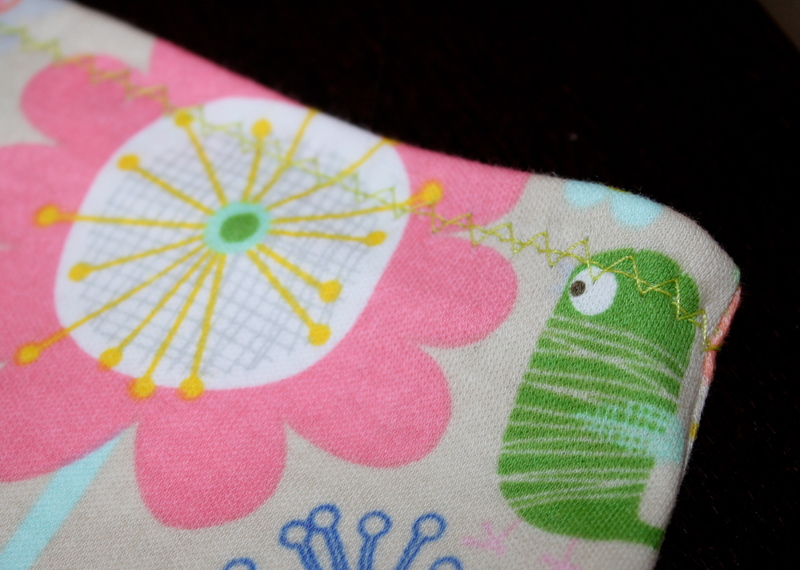 I found a sleep sack pattern I hadn’t used in a while, and using some nice jersey fabric, crafted a little sack for the new baby girl. 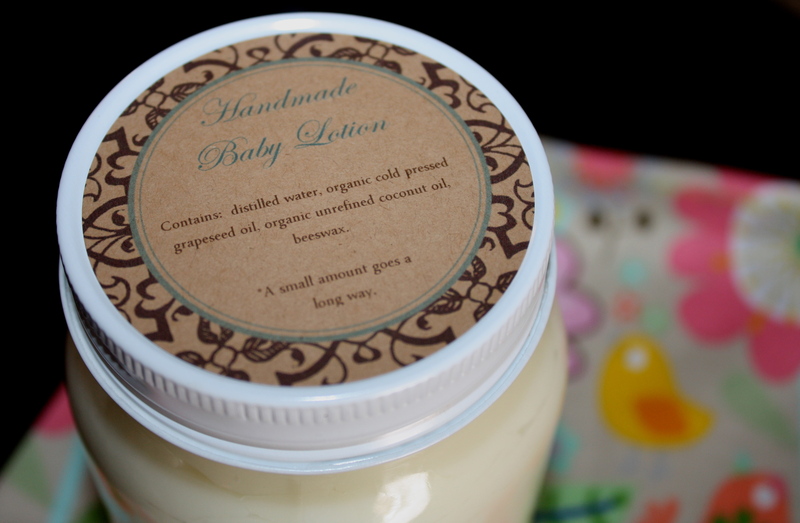 I then dug out my favorite lotion recipe from The Rhythm of Family and, leaving out the essential oils, made some great lotion perfectly suitable for a baby’s sensitive skin. 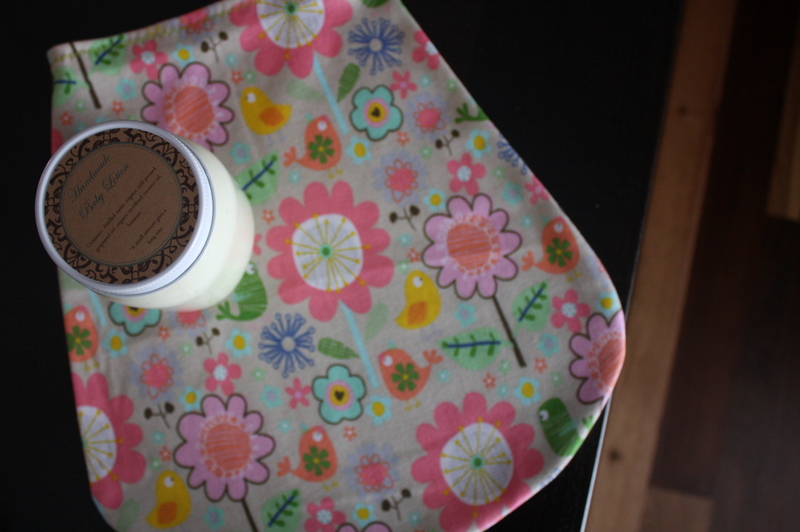 There is surely something special about giving a new mama and daddy something unique for their precious little one. I am so thankful to have the opportunity to share a little homemade goodness with these amazing new parents. This entry was posted in Holistic Living, Sustainable Living and tagged Amanda Blake Soule, DIY, eco friendly, fresh, holistic, holistic living, home, homemade, homemade lotion, homemaker, homemaking, kids, lotion, make, making, mama, mindfulness, mom, mother, sleep sack, The Rhythm of Family. Bookmark the permalink. What a wonderful homemade gift! Mallory loves her gifts! (As do mommy and daddy) thanks Jame!